Once again The Greater Port Washington Business Improvement District (BID) teams up with local florist S.F. Falconer Florist (8 South Maryland Avenue) and the TONH Port Washington Parking District to make the area around our train station beautiful. Thank you to S.F. 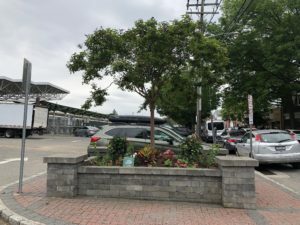 Falconer Florist for donating the design services and planting of the four large tree beds at the LIRR Train Station for all to enjoy. Plants were donated by the BID. It takes a TEAM (Together Everyone Achieves More)!